Immediately after taking oath, Madhya Pradesh chief minister Kamal Nath cleared the proposal of waiving farm loans up to Rs 2 lakh as promised by Congress president Rahul Gandhi ahead of assembly polls. The cost to the state exchequer is estimated to be around Rs 38,000 crore. 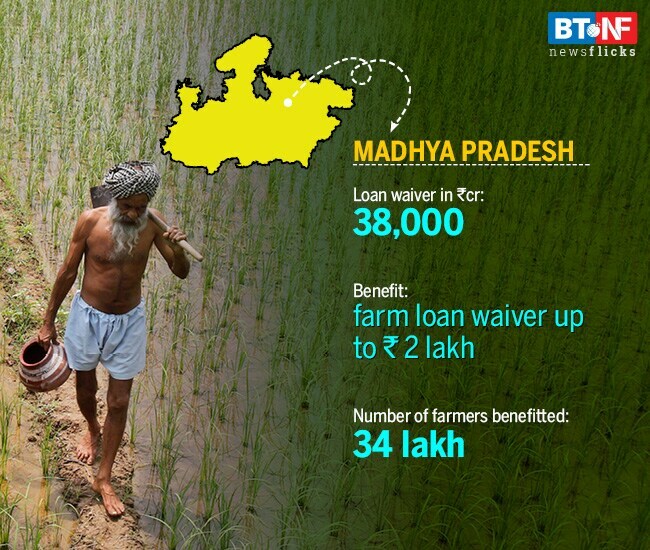 Over 34 lakh farmers are expected to benefit from the scheme.